There are at least two ways to view a work of art: either literally as though the image is a view through a window or poetically as though in the reflecting mirror of the artist’s mind. 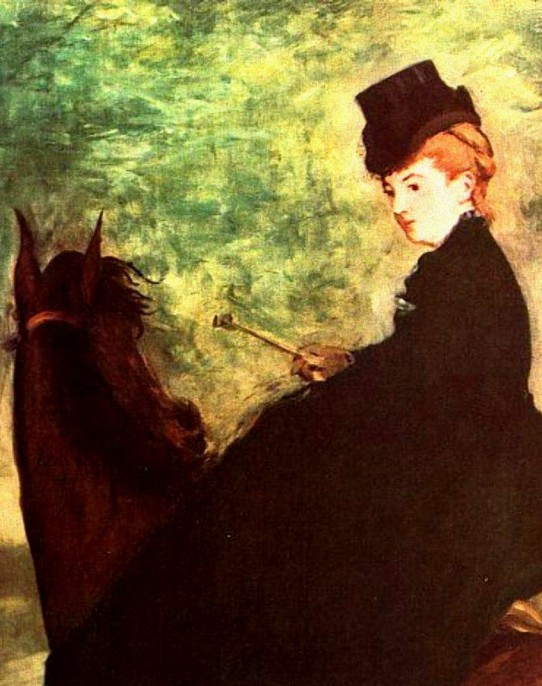 Literalists are likely to read Manet’s The Horsewoman as “unfinished” because the background looks it. The trees of the wood, broadly brushed with thin paint, seem too impressionistic considering that the horsewoman and her mount in the foreground are finely painted. Imaginative observers, on the other hand, should recognize that the solidly-painted horsewoman and the thinly-painted background are on two different levels of reality. The solid horsewoman is real. She represents “the artist” turning around to check her image in the mirror as she “paints” the background with her short whip as a “brush”. Once again, that over-the-shoulder pose, indicates the presence of a practising artist while the “unfinished” background is a "half-finished painting,” a work-in-progress. The horse in profile taking up most of the foreground represents the easel through word-play. An easel in French is un chevalet because it often has four legs, two in front and two behind like a horse, the French for which is un cheval. 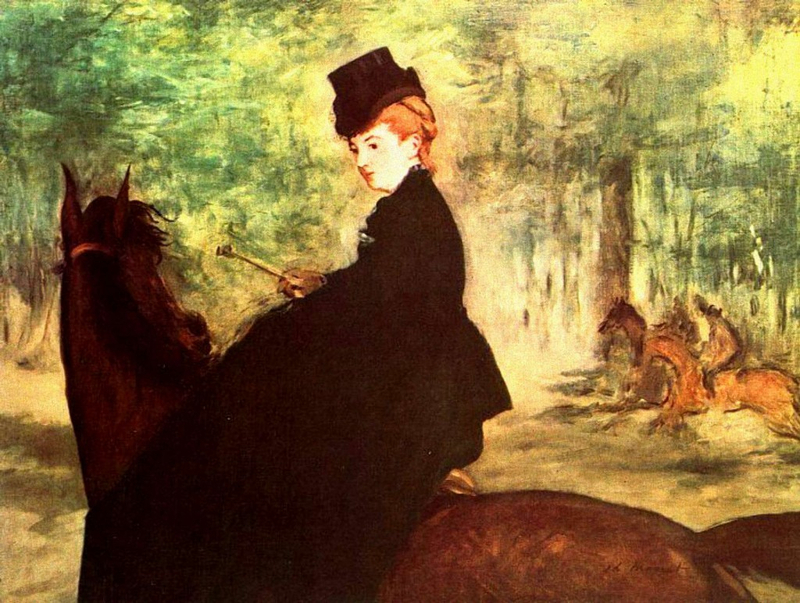 The horsewoman on the cheval(et) is thus both artist and model, subject and object. 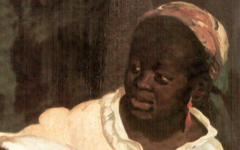 Other paintings by Manet using the same methods are Le Dejeuner sur L'Herbe and Mlle. 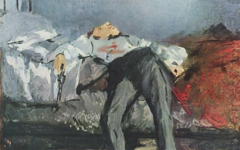 V in the Costume of an Espada, both of whose backgrounds represent a painting, and Young Lady of 1866 which puns on the French word for painting. 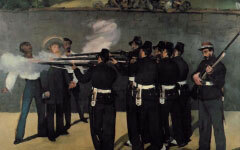 Art scholars have sometimes wondered why the execution squad in Manet's Execution of Emperor Maximillian are so unrealistically close to their target. Indeed, on close inspection, their rifles are aimed as though they would miss. Original Publication Date on EPPH: 31 Mar 2011. © Simon Abrahams. Articles on this site are the copyright of Simon Abrahams. To use copyrighted material in print or other media for purposes beyond 'fair use', you must obtain permission from the copyright owner. Websites may link to this page without permission (please do) but may not reproduce the material on their own site without crediting Simon Abrahams and EPPH.